What if Jack and Jill had been playing on a nice soft sand dune instead of that treacherous hill? And suppose Mary’s pet wasn’t really a lamb. What if Mary had a little . . . clam? 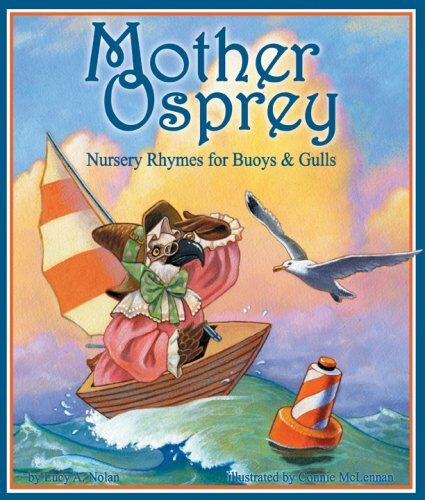 Those questions — and more — are gleefully answered in Mother Osprey: Nursery Rhymes for Buoys & Gulls. This collection retells Mother Goose rhymes and celebrates America’s coastlines and waterways — from sea to shining sea.